Tech O Blog : Microsoft Edge will become my primary browser but WHY ? Microsoft Edge will become my primary browser but WHY ? If you have been following me for a long time, you probably know that Chrome has been my browser of choice since I started blogging but that is about to change for several *good* reasons. With the recent tests and improvements made to Edge, it is time to reconsider the options available in the market. What's wrong with Chrome ? Chrome once represented what a modern browser should be. Be it the extensions and themes support or the simplicity of it's UI combined with good performance kept me hooked to it for a long time in my desktop. It still has all these features with Sync using Google account being a very useful feature for Android users. Then it happened, Google started adding a lot of features without considering the impact the browser had on the computer running it. The RAM usage skyrocketed even with a couple tabs and extensions. I was somewhat ok with it since I was using a desktop but when it came to laptop, the battery life proved to be below standards and this was just explained in the recent blog post from Microsoft. Even though Google has promised to improve the battery life and memory usage in the coming years, it will take a long time to come close to what others offer right now. Opera or Microsoft Edge ! This was the toughest choice to make, I had ruled out Firefox as I never had a convincing experience with it. Opera seemed to be a very good choice as it shared the engine with Chrome (Blink) and had similar extension support. All this with a good battery life ! Opera team has been working on improving the battery life and the new Battery Saver just does that. Sweet deal ! On the other hand, Edge offered a fast and slick experience. But yeah, it lacks extensions and customization options that Opera offers. I took a look at the Edge in Anniversary update, it was all full of new features and performance improvements. It uses my Microsoft account to sync which is very useful for me since my phone also runs Windows 10 where Edge is the only proper option. Performance without impacting battery life. Sync between my phone and laptop using Microsoft Account. Commitment to keep up with latest innovations and technologies. While Edge ticks these boxes, some of the features found in Chrome and Opera like "Paste and go" in the context menu of URL bar, searching the highlighted the term using a preferred search engine ( Bing lookup is kinda similar) and Open in Incognito tab for a link. These are all small yet useful features which are not available in Edge ( even in the anniversary update ). As of now, I use Edge mostly for casual browsing and blogging while Opera comes handy when visiting sites with too many ads. I have tried editing the hosts file to block the ads in Edge but I prefer to have control over sites which can show ads. Chrome is still there as a secondary browser, a place which it shares with Opera. Chrome will of course have a special place in me since I've grown accustomed to it over the years but it currently needs some trimming off. 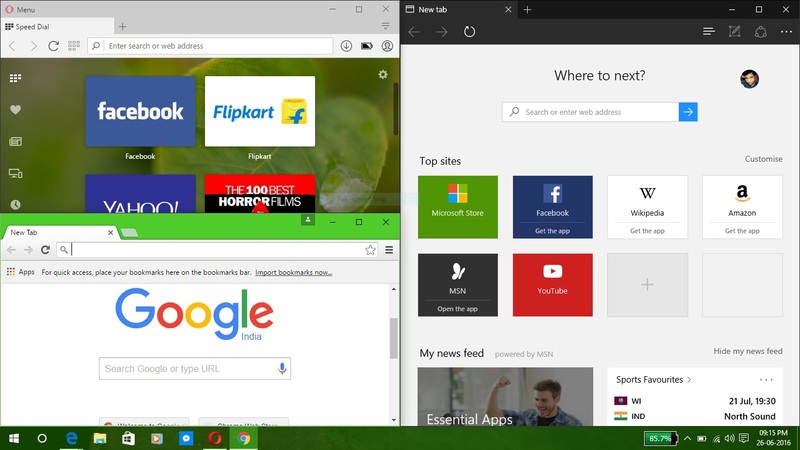 Edge has proved to be interesting and worthy new choice for me. For now, Good bye Chrome and Hi Edge ! So what do you think about Edge ? 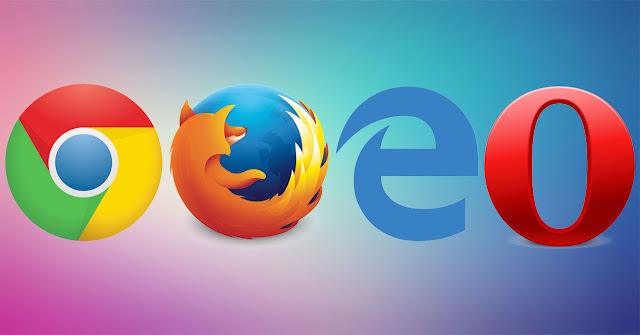 Which browser will you prefer if you want to switch ?